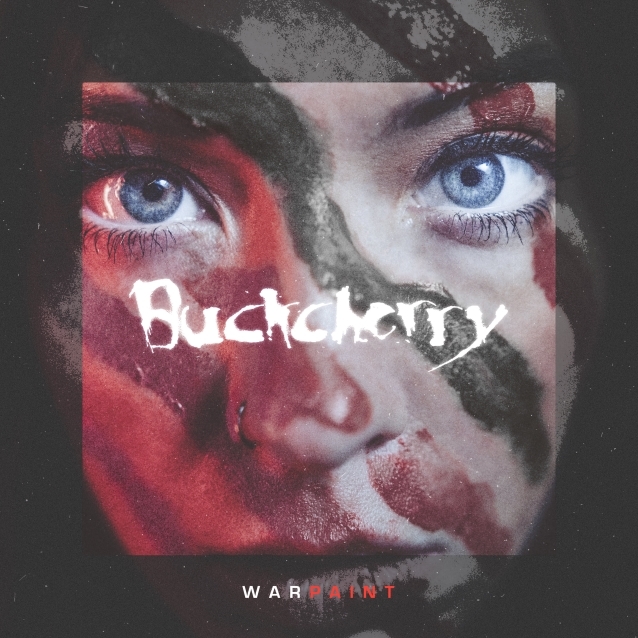 A track-by-track breakdown of "Warpaint", the latest album from Californian rockers BUCKCHERRY, can be seen below. 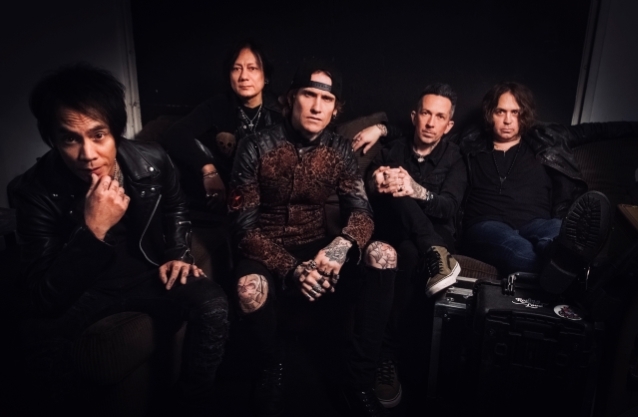 Released on March 8 via Century Media/RED Music, the 12-song disc, featuring 11 new BUCKCHERRY songs along with a cover of the NINE INCH NAILS classic "Head Like A Hole", was produced by Mike Plotnikoff, whose last collaboration with the band was the platinum-certified album "15". The album art was created by Aaron Marsh and can be seen below. "I don't want to put too much on it, like saying it's one of our best records, but I truly believe that (it is)," singer Josh Todd told Billboard about "Warpaint", which took a year to make. "It was a long labor of love," he added. "We were writing and rewriting. We knew the kind of record we had to make. At the end of the day it comes down to the songs. We had to make sure we had the songs, and we had so many songs but we broke it down to 10 that worked." Guitarist Stevie D. told Metal Insider: "Josh and I wrote 30-40 songs for this one. I would build a verse and chorus and send to him. If he connected with it, he’d then come over to the house and we would hammer out the rest of the song. He would also come over with ideas for a chorus, let's say, and then I would go back to the studio and build a complete song around it. Once we had, say, 30 songs we felt good about, we then sat with our manager Larry Mazer and producer Mike Plotnikoff and narrowed it down to the 11 that were going to be on the album." BUCKCHERRY recently recruited Francis Ruiz as its new drummer. He joins the band as the replacement for Sean Winchester, who exited BUCKCHERRY after laying down the drum tracks on "Warpaint".